It seems that the way actor Byun Yo-han carries on with his task exudes special energy these days. For the reasons why SBS' Monday & Tuesday drama, 'Six Flying Dragons' could fly high up, Ttangsae, Yi Bang-ji contributed the big portion to it. He played an important role to open the door to New Joseon while he realized the justice with his strong willpower. The man squeezes his heart feeling agony while he casts melancholic glance at his first love. 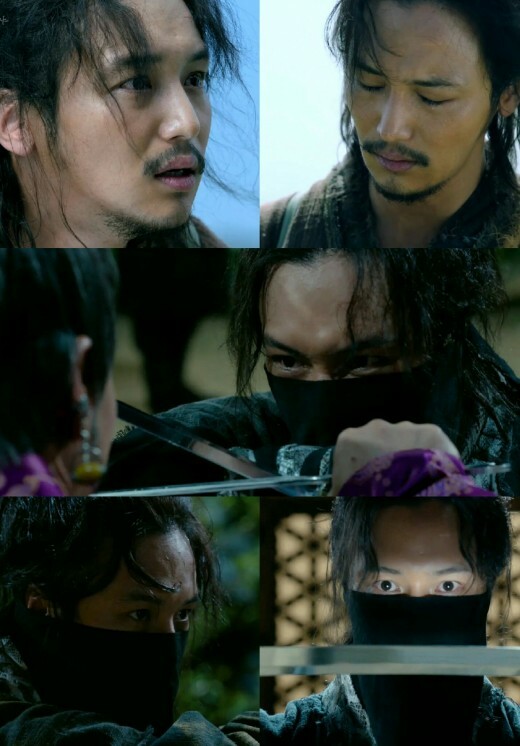 He again withdraws the tears in his eyes and pulls himself together in a determination to finish Goryeo with his own hands. Byun Yo-han, who made such proud transition from rookie to the leading actor pulls off a successful match for a hundred in each episode and fills up the small screen with his own special energy. Byun Yo-han's brilliant action acting surprised the viewers pleasantly and the ardent encounter with his first love brought the viewers to tears. During a previous press conference with the writers, it was revealed that he was the first actor, who had been cast for the drama. He is doing excellent job proving the reason why he was cast first for the blockbuster drama these days.